A line of large CO2 lenses and mirrors for Mitsubishi and Mazak lasers that are in-stock for 24-hour shipment to allow companies to reduce consumable costs are available from Laser Research Optics of Providence, Rhode Island. 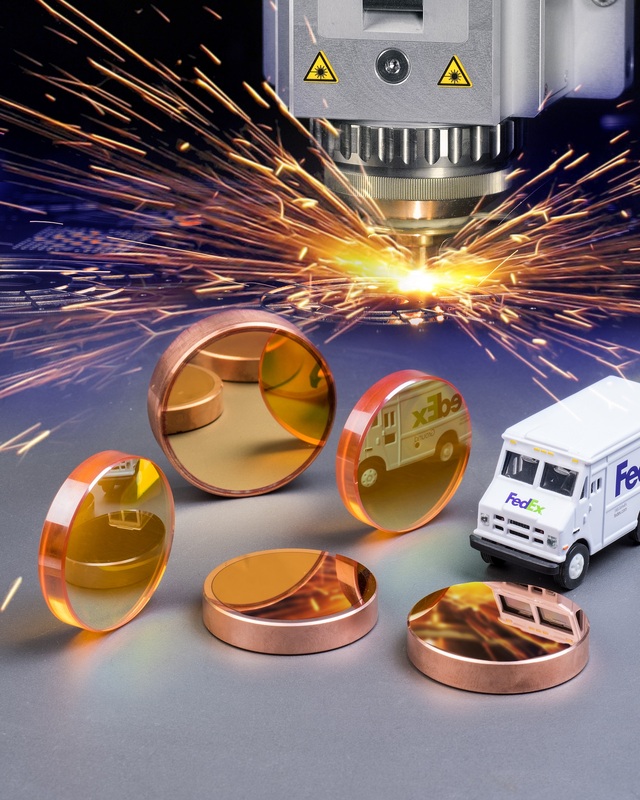 Laser Research Optics CO2 Lenses and Mirrors are optimized for 10.6 microns, meet OEM specifications, and are suitable direct field replacements for Mitsubishi and Mazak Laser optics. Available from stock for overnight delivery, they permit companies to reduce their consumable inventory costs. Laser Research Optics CO2 Focusing Lenses are offered in 1/2” to 2-1/2” dia. sizes and focal lengths from 3” to 10”, in 0.5” increments, and thicknesses range from 0.025” to 0.38”. Silicon turning mirrors come in 50 mm to 60 mm sizes with >99.5% reflectance and single or dual-band coatings are available. Laser Research Optics CO2 Lenses and Mirrors are priced according to size and configuration. Price quotations are available upon request.